For a small business owner, cash flow is the lifeblood of your business. Unfortunately, almost half of small business owners report that cash flow worries keep them up at night. To help you sleep a little more soundly, we’re launching Square Card. Square Card is a free business debit card designed to help business owners more effectively manage cash flow by providing immediate access to their balance, which is funded by sales processed through Square. By eliminating the time between making a sale and having funds available, you can quickly put your money to work. And as your business grows, this kind of speed is essential, as you often need to put money to use right away. With Square Card, you can do it free. Use Square Card anywhere Mastercard® is accepted to make crucial purchases for your business, with funds available after you’ve made a sale. See a complete snapshot of Square balance spending and activity in your Square Dashboard and Square Point of Sale. Access reporting features that separate business and personal expenses to improve cash flow management. Export Square Card activity from Square Dashboard in easily downloadable formats to incorporate activity into accounting software and track business expenses. Withdraw funds for cash purchases or expenses using Square Card at ATMs. Receive a 2.75% instant discount for all purchases made at fellow Square sellers. Growing your brand is also an important part of growing your business. 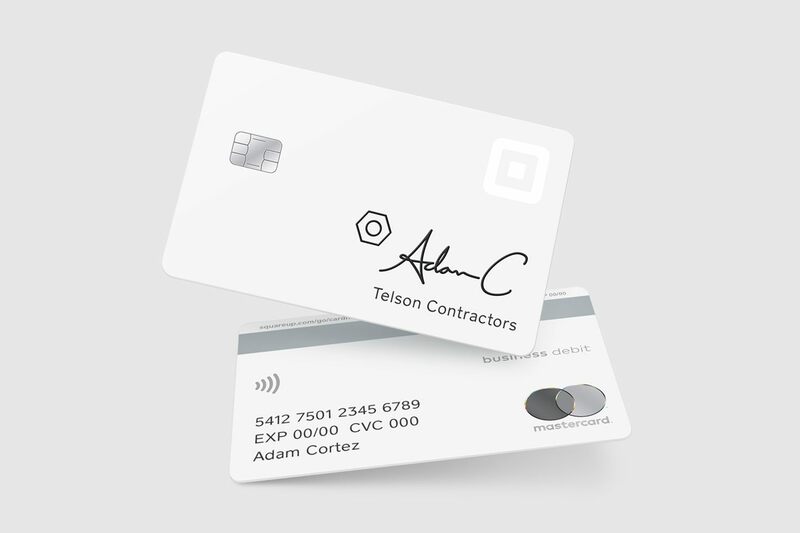 Sellers can customize their Square Card with a laser-etched signature and business name to reflect the personality and brand of their business. All existing and new Square sellers will have access to Square Card starting today. In addition to Square Card, sellers will continue to have the option to transfer funds into a linked bank account at any time. To learn more, you can visit http://www.squareup.com/business-debit-card.